SnapChat Geofilter for your Wedding! Before we get started with today’s Wedding Wednesday feature, we made a HUGE announcement this morning over on instagram. 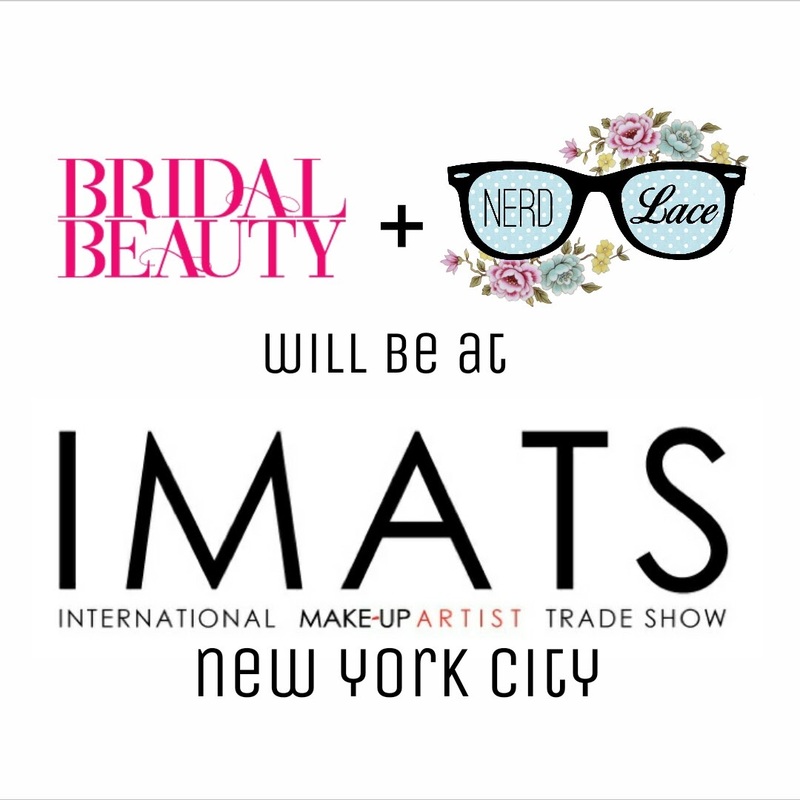 We are partnering up with Bridal Beauty Magazine to cover IMATS NYC! We are beyond thrilled and send Bridal Beauty’s Editor-in-Chief, Amanda, tons of love and gratitude for this opportunity. Ok, so on to today’s feature. If you’re a SnapChat user, then you know what Geofilters are. You take a picture and search around for a filter of where you are located. For those that are not familiar with SnapChat this is what a Geofilter looks like. Did you know you could make your own? Yes you can! Wouldn’t this be the most amazing thing for your guests at your wedding (or any event)? As a daily SnapChat user, this would have me taking a million pictures of your wedding using your Geofilter. It’s a fun treat, and it’s one that’s really not all that expensive. You get to design, pick a date, how long to run the Geofilter, and the location where people could use it. All of this takes into consideration the price you pay. However, it really isn’t all that expensive. It starts at just a few dollars and then it goes up from there. To teach you how to create your own Geofilter, I’m going to turn it over to Aaron from Break the Internet. He explains it better than I ever could. I did search to see if people had Wedding Geofilters and it amazed me that I couldn’t find any, and this is why I decided to share this idea with you guys on today’s Wedding Wednesday. There’s one downfall to the Geofilters, you have to design them with some sort of Photoshop. I spent an hour looking for alternative ways to design them but came up empty handed. But that’s not necessarily a bad thing. Geofilters are fairly new. So I have no doubt that soon enough there will be an app or a website that will assist you in your design. Have you designed your own Geofilter for your wedding or event? Share with us on instagram. We’d love to see! BEFORE WE GO, just letting y’all know, we’ve partnered up with EM Cosmetics and IpsyOS to bring you this giveaway. Enter to win one of three Tokyo Plums palette (a $28 USD value). Yes, three winners will be chosen at random. The beauty of it is that you’ll automatically know if you’re a winner. So what are you waiting for? We already had a winner, you could be next! Click on the image below to enter. I LOVE the idea! And really, its beyond affordable.